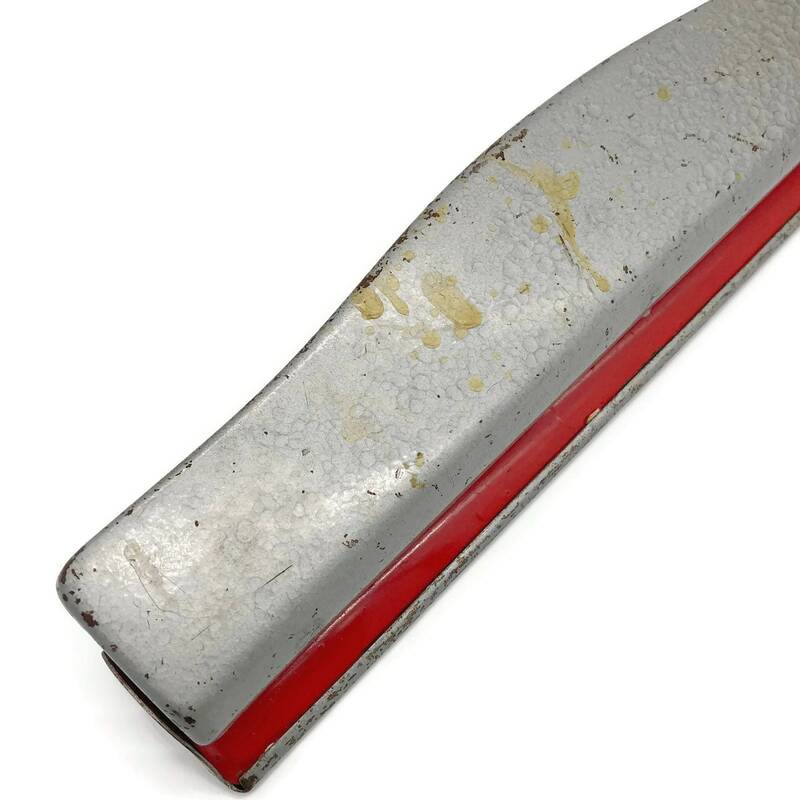 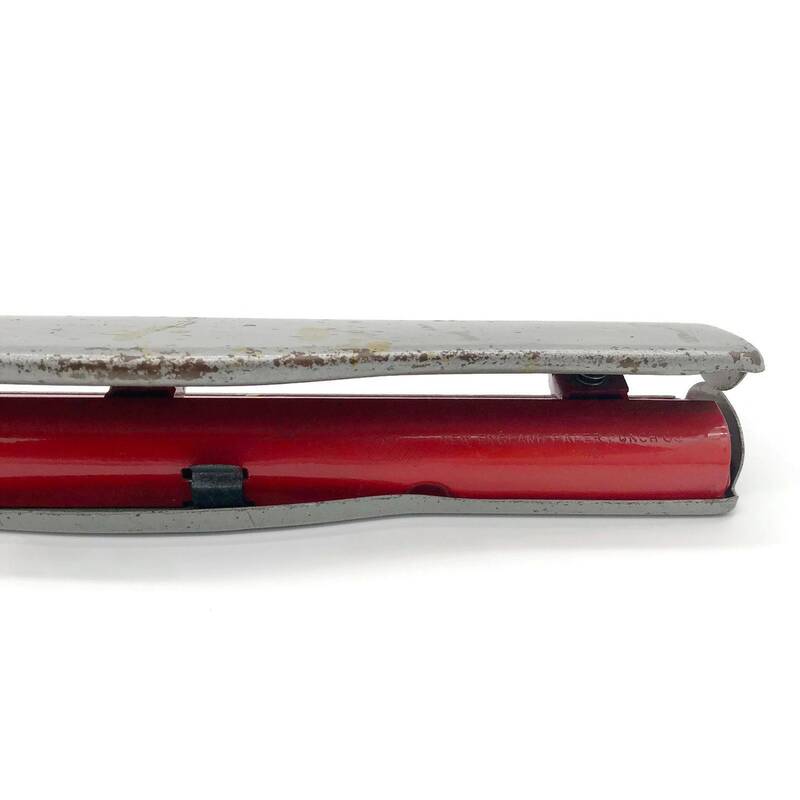 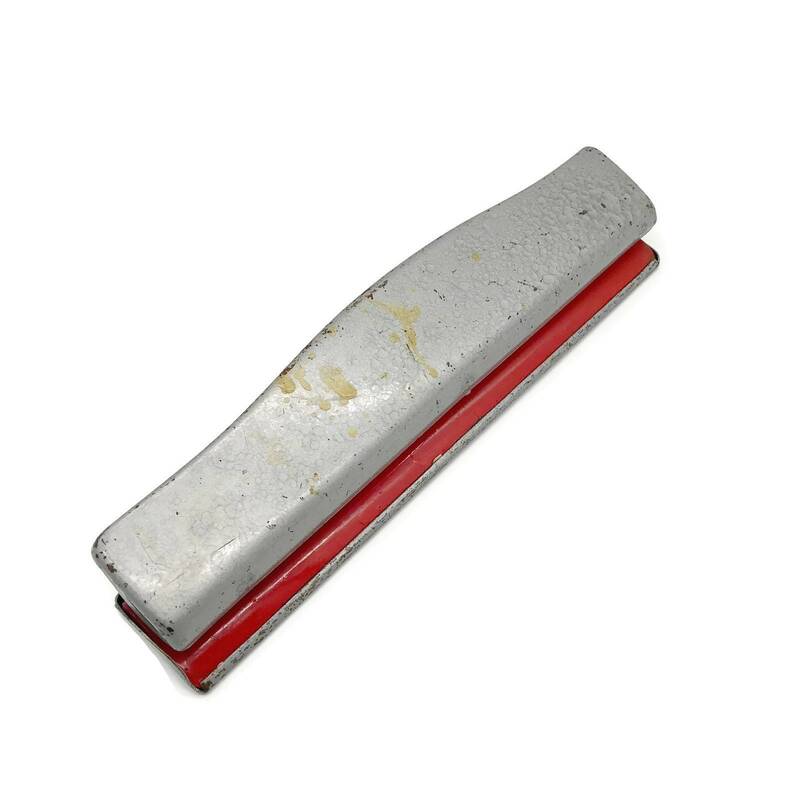 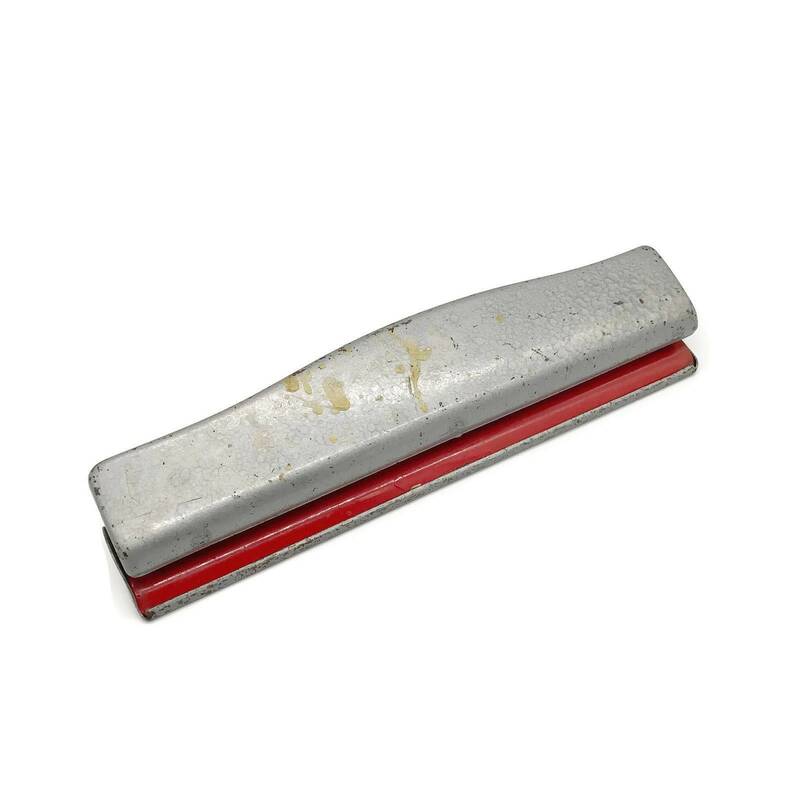 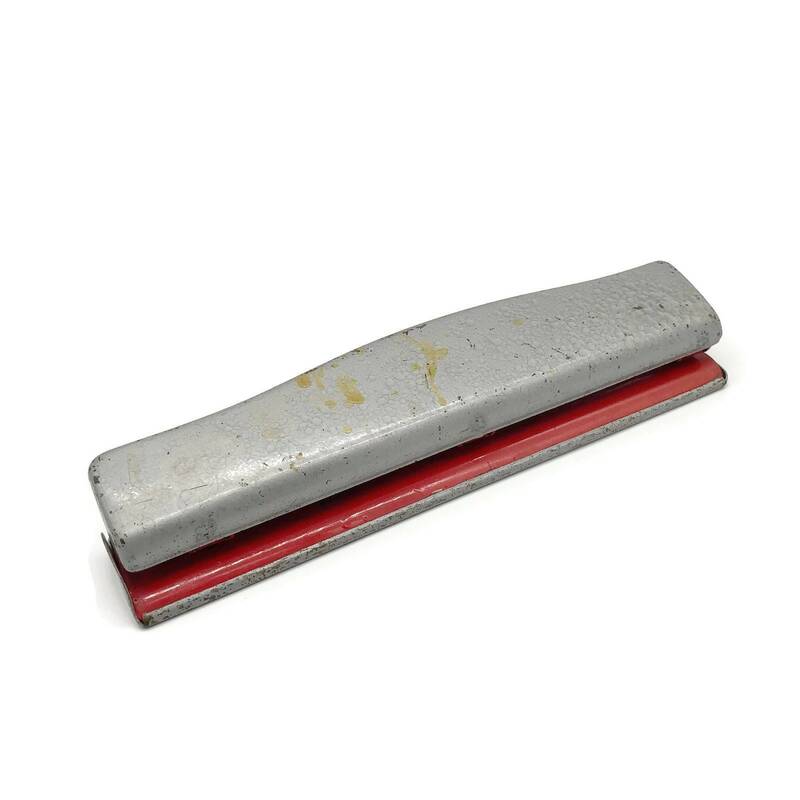 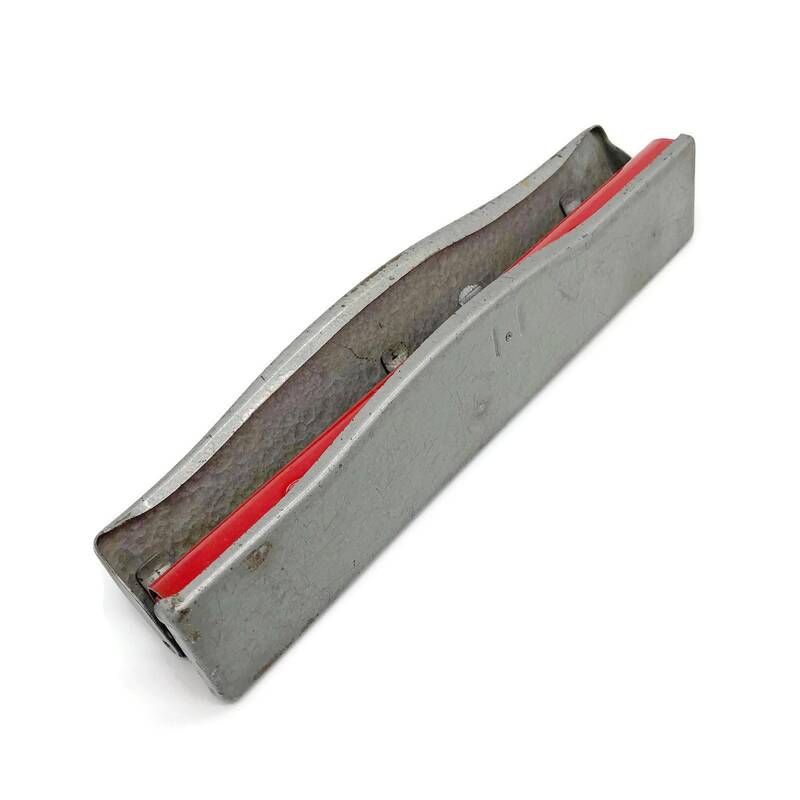 Vintage industrial three hole punch in a silver and red finish by New England Paper Punch Co. and made in the USA. 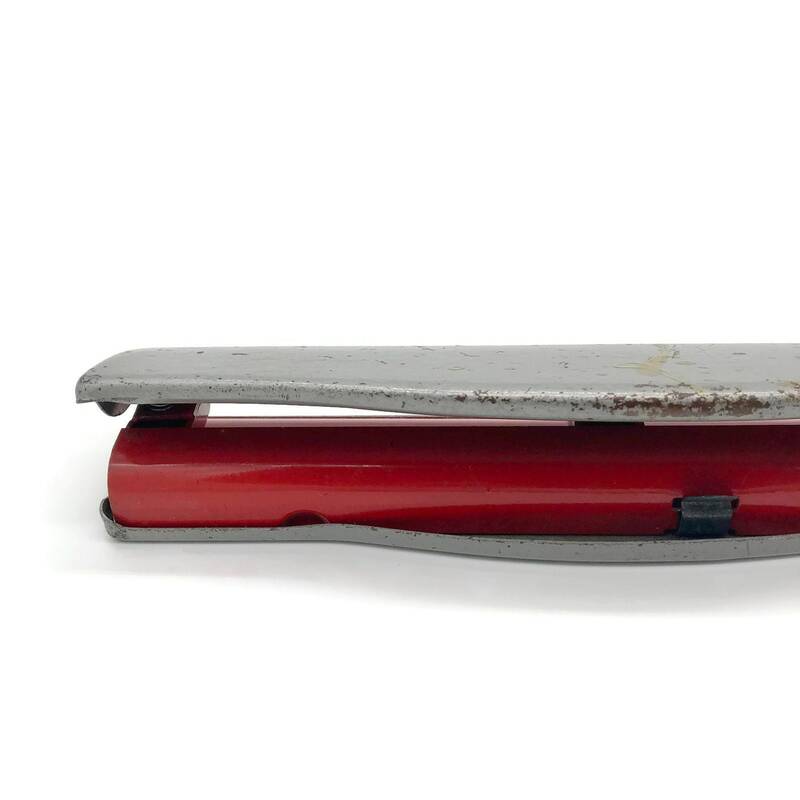 There is some wear and some sort of glue on top, as shown in the above pictures, but is in working condition. 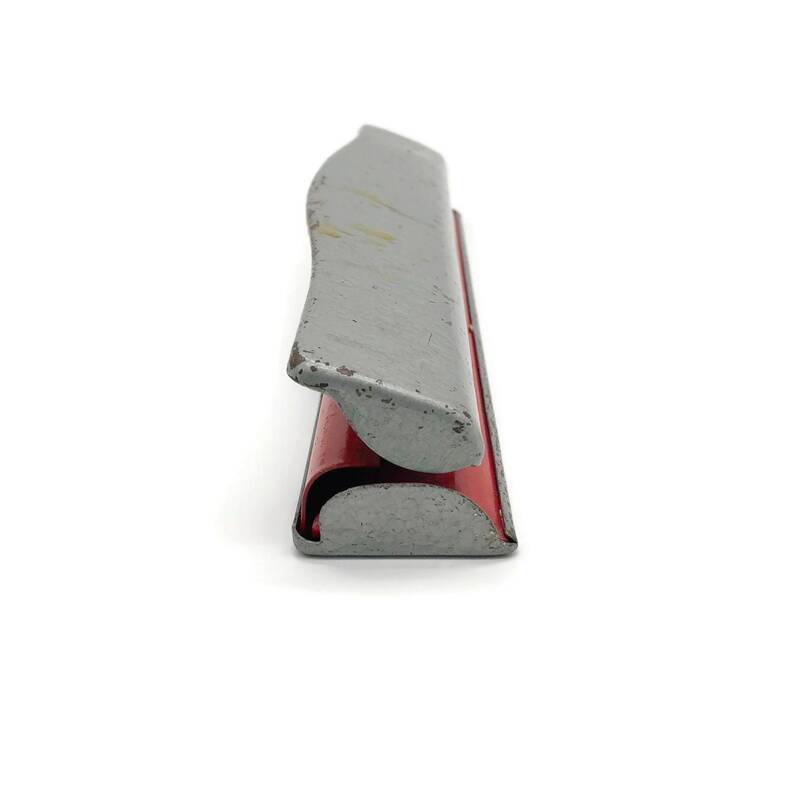 I love the pop of red on this one! 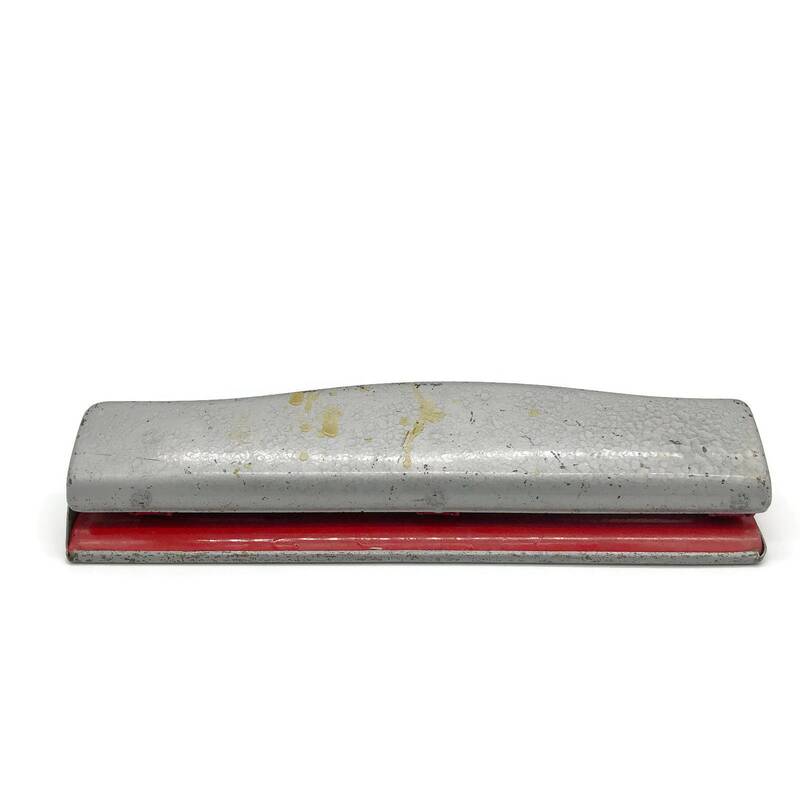 Great addition to your industrial, retro office style.